Previously we learned the history of Great Dixter and today we will continue our walk around the grounds and gardens. Apart from a couple of mixed orchards and a scattering of trees, there were no gardens here when the Lloyds arrived in 1910. There are many out-buildings on the property including several old barns. As buildings continue to be restored it is good to know that nothing is thrown away, but recycled to use on other projects. Old, thin, laminated tiles were used for the new roof on the loggia, that was previously the old chicken shed with rotted walls. I think these buildings may be in future works…… or maybe not. However, this might need an improvement……..it is the handicapped bathroom! Very primitive, but you get the feel for how things once were! Most of the garden design was by Edwin Lutyens. 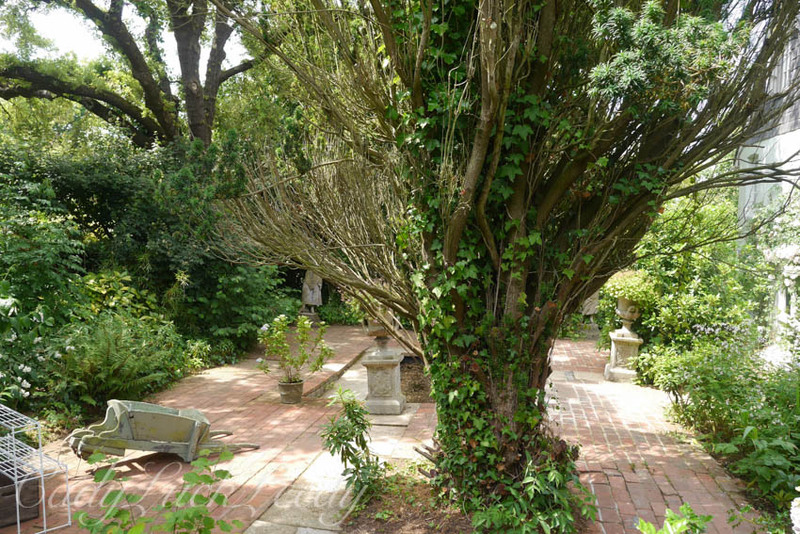 The gardens are separated by yew hedges, which are sometimes curved, low brick walls, and many, many paths! The borders are mixed and in all colors. 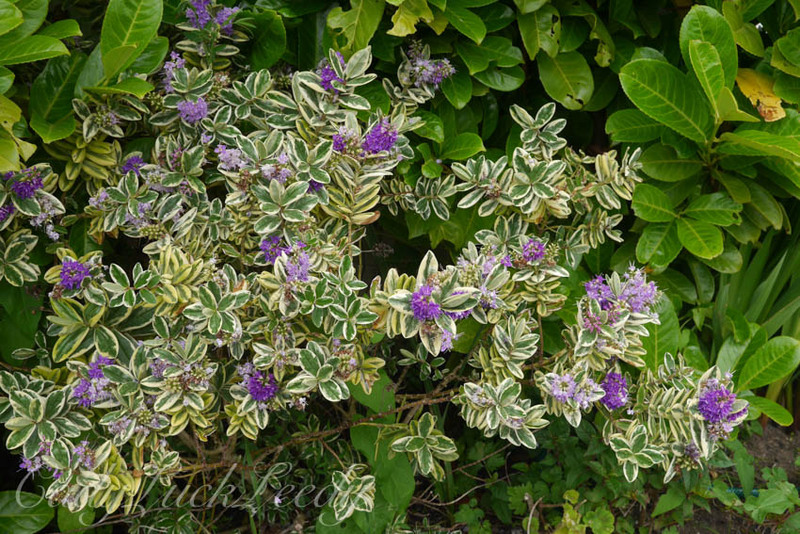 There is no segregating plants of differing habits, so you see shrubs, climbers, hardy and tender perennials, annuals and biennials, all growing together and contributing to the overall tapestry. There are nineteen different gardens here! Some of the paving is of York sandstone. 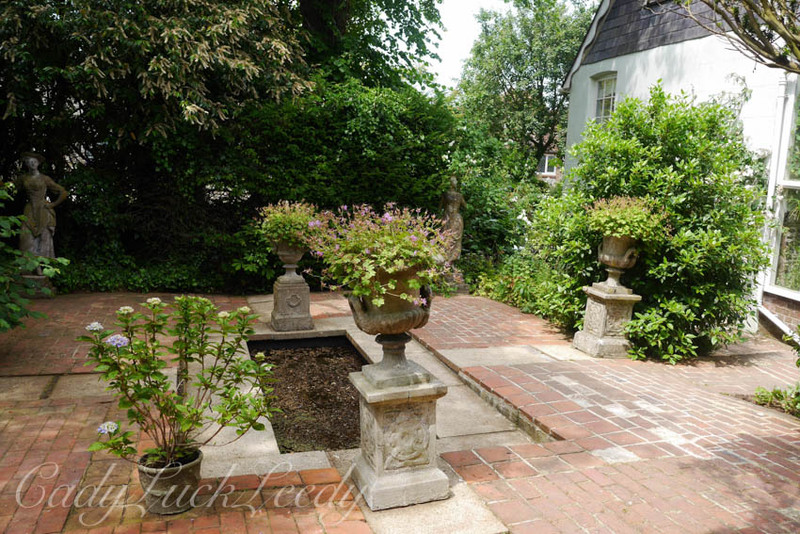 London’s pavements were ripped up and replaced by tarmac, and the stone became available for garden use. Lichens grow on it, making their own patterns, particularly noticeable at their ‘flowering’, in April. But the stone is slippery when wet! There is a large nursery here and many folks came to shop! Nothing is wasted! Save the rainwater! One of the young gardeners showing us the grounds was a student from the U.S. She is participating in the USA Christopher Lloyd Scholarship. 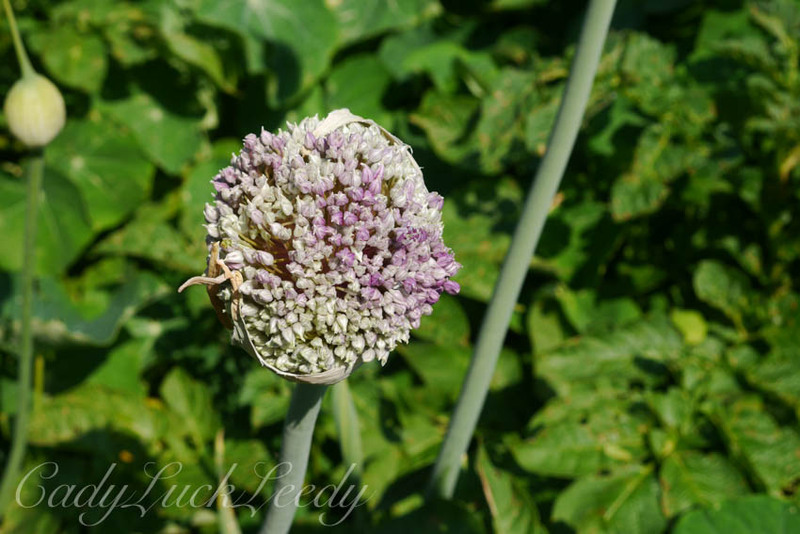 The scholarship provides a gardener from the United States with a year-long, practical education in the traditional style of ornamental gardening as practiced at two of the world’s most respected gardens, Great Dixter in East Sussex, England, and Chanticleer near Philadelphia, Pennsylvania, USA. 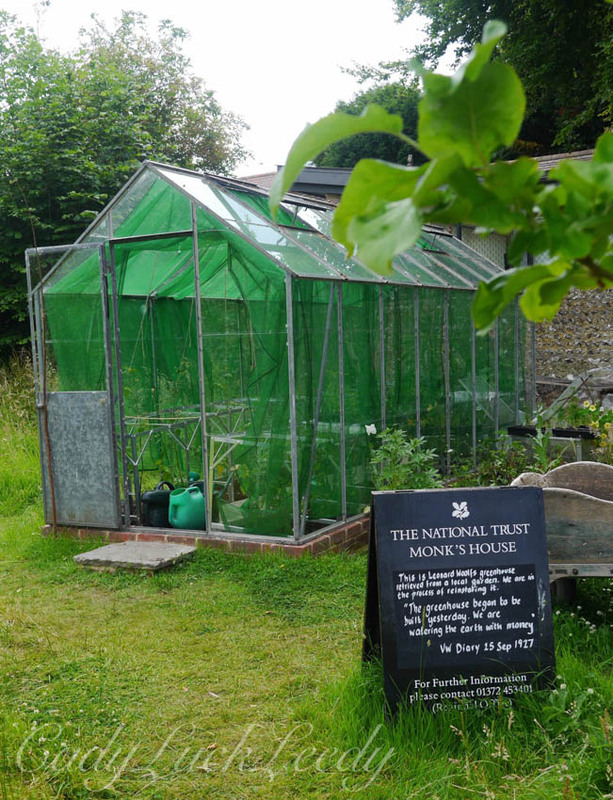 The scholarship offers an American gardener a chance to develop practical skills and an understanding of the ‘sense of place’ needed to manage complex, innovative flower gardens such as those at Great Dixter and Chanticleer. It is hoped that the scholar, in turn, will inspire a future generation of North American gardeners, passing on knowledge and skills. 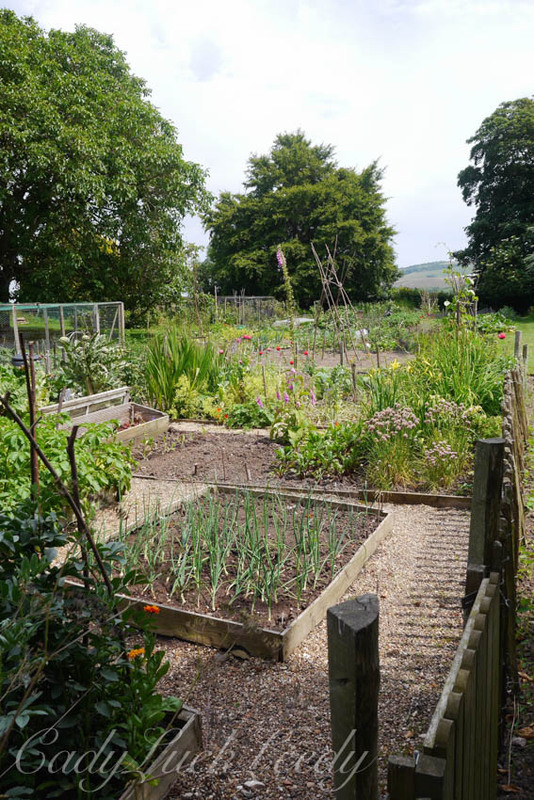 The student spends 11 months, from September to July, living and working at Great Dixter, immersed in all aspects of the garden’s operations and also attends symposiums and visits gardens, plant trials and garden shows. The final month of the scholarship is spent working at Chanticleer. Wow how great is that? 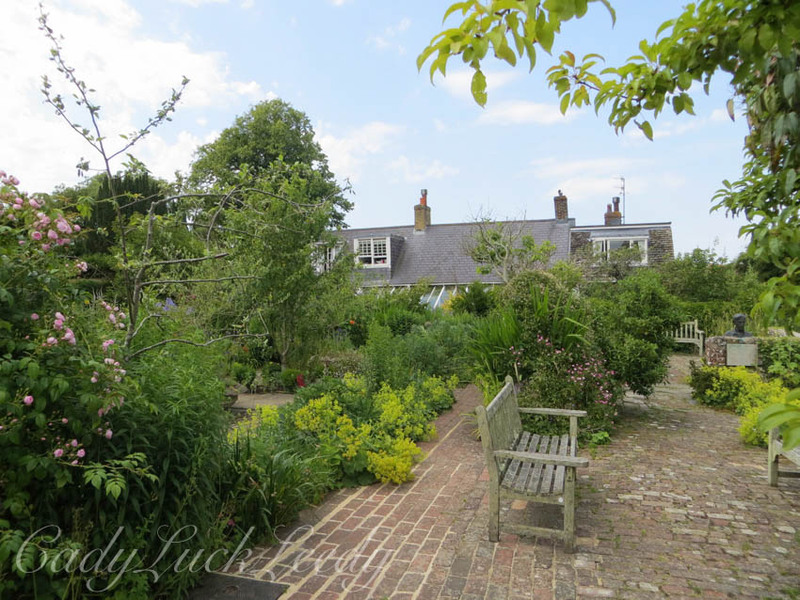 A map of Great Dixter is Here! I hope you enjoyed our tour of Great Dixter! I certainly did. 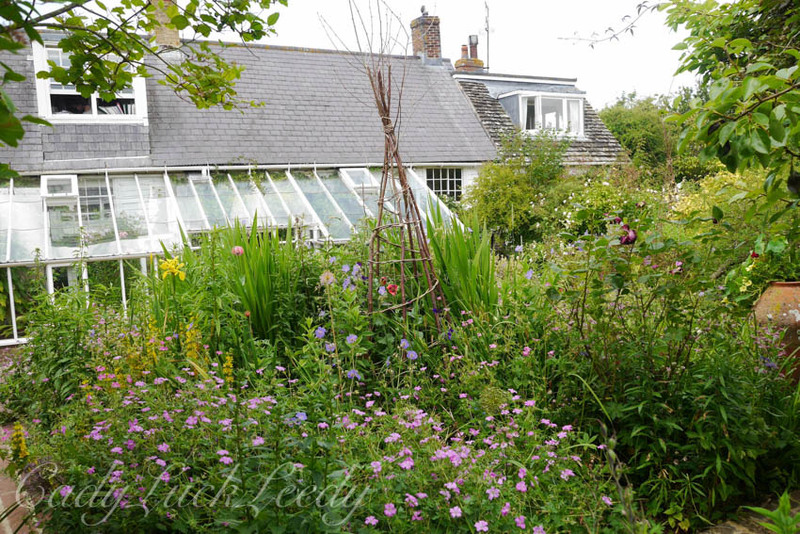 This is the last garden of the year on my English Garden Tour! I have enjoyed every one and hope you did too! Until next time in the garden! 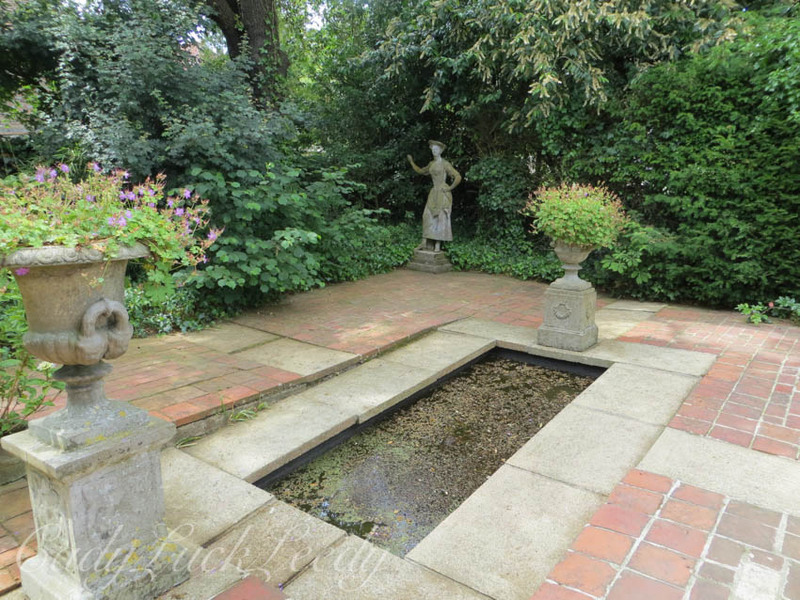 There are just so many many beautiful details to this garden I couldn’t resist showing more sculptures, the manicured garden and the walk along the ponds! Which way should we walk first? A cottage is nested in the woods! These little guys have a grand place to play! We’re about to tuck into an arbor here! Here is one of my favorites, Goose Girl by Marion Smith! I am so glad we were told about this garden. I must remember to always ask the locals about gardens in the area where we are staying! What a treasure Pashley Manor is! For Information about openings and special events at Pashley Manor Gardens look Here! See you tomorrow in the garden! I think Virginia wanted life both ways. She felt she couldn’t live with the servants and couldn’t live without them. 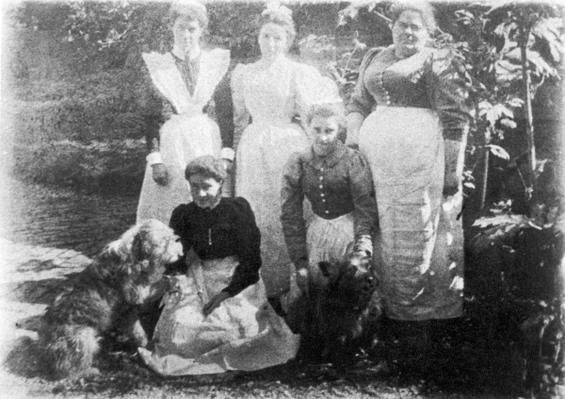 Even with Virginia’s work for Women’s rights, Virginia had no desire to improve the economic situation of her servants. When Virginia went on to make 4000 pounds a year for her writings, she paid a meager total of 40 pounds a year for her two servants! A woman is hardly going to become self sufficient on 20 pounds a year! Why did the domestics put up with all the strife? In the Woolfe and Bell household the servants didn’t have to wear uniforms, attend church, wait on tables, or do “fetching and carrying” for their employers. They enjoyed the glamour of working for famous artists and traveling with them on their luxurious vacations. They were allowed to mingle with the guests and no longer lived in the dismal attics or basements. The arrangements with the servants appeared to be “unbelievingly lax.” It was a trade off that they all considered. Lottie Hope (1890-1973) was a housemaid for Virginia Wollfe. She was a foundling and grew up in the Home for Deserted Children at Hambleton in Surrey. 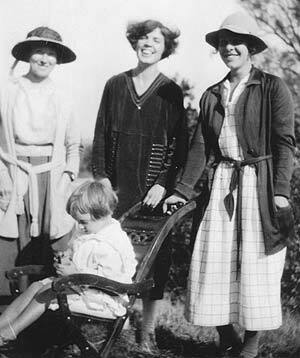 She left the Home at fourteen and went into service at the home of Roger Fry, where she worked with Nellie Boxall. She left Fry’s home and moved to the Woolf’s home when Nellie did. 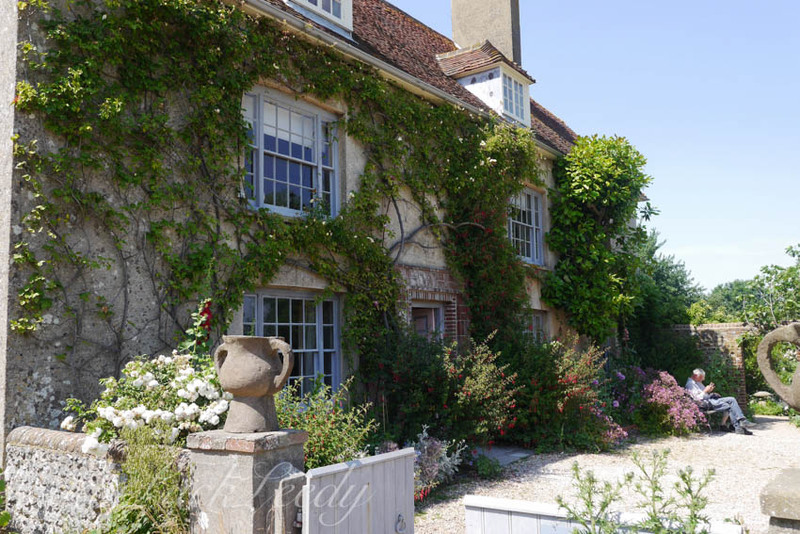 When Lottie had had enough of Virginia she left the Woolfe’s home in 1924, and went to work for several of the Bloomsbury Group, but finally settled with Clive Bell and eventually went with him to Charleston Farmhouse, the country house of his estranged wife. Lottie was back living near her good friend Nellie Boxall, who was like family to her. She left the Charleston Farmhouse in 1941, to work at a local laundry, and lived with Nellie Boxall, in her house. Like Nellie, she never married or had children, but died at the Hambleton Homes for the Aged. For a fascinating read of all the servants that worked for Virginia Woolf I suggest, Mrs Woolfe and the Servants; an Intimate History of Domestic Life in Bloomsbury, by Alison Light. It sheds light on all the unheard voices of the domestics, while Virginia established her reputation as a feminist. It tells of their meager existence and lack of control of their futures. 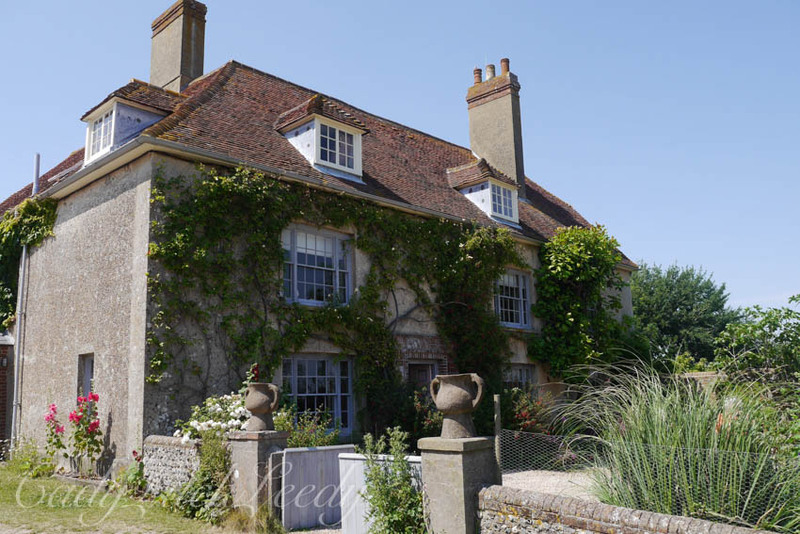 In the last several posts I have been writing about Virginia Woolf and her country retreat, Monks House, situated in Rodmell. I am fascinated with small English villages and the people that live in them. Rodmell proved to be one of the smallest, population 250. The Lewes to Newhaven Road twists and turns and upon reaching the Abergavenny Arms Pub, you turn onto a smaller paved road and follow it until it dead ends at Mill Lane, where the parking spaces are for Monk’s House. It was an easy walk through the one lane village of about twenty homes to reach the pub after our visit to the gardens and cottage. However, I was in for a bigger surprise. 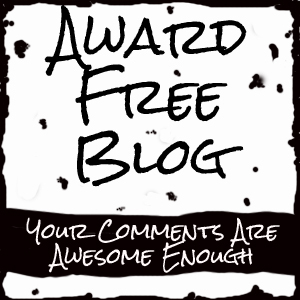 This is what I learned…………. 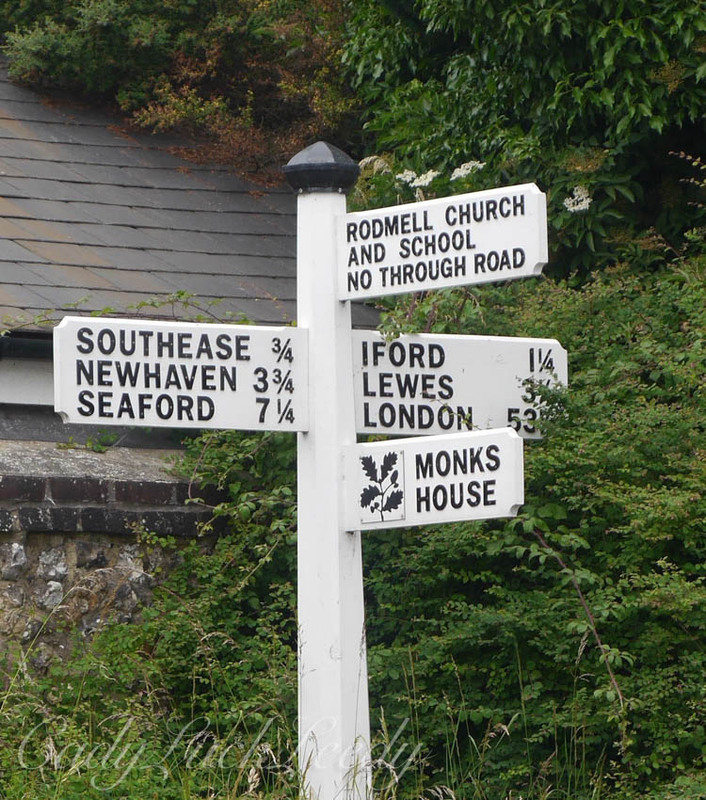 In 1085, the Doomsday Book noted there was a church in Rodmell, which was granted to Lewes Priory by William de Warenne, Second Earl of Surrey. This early Norman church is dedicated to St Peter. The font is believed to be Saxon predating the church itself. People have been inhabiting this area for a long time. But the most extraordinary find for me, was the name William de Warenne. That name rang a bell. So upon searching my ancestry files, another passion I follow and update regularly, I located William de Warenne. He is my 27th great grandfather! So strolling this small village which has remained unchanged for several centuries was particularly interesting to me! Let’s admire the village on the way to the pub! 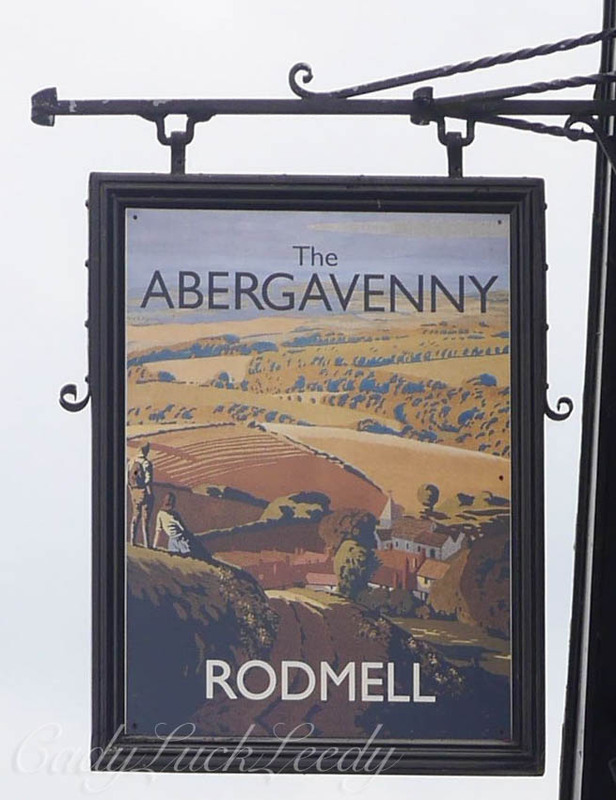 In 1439 Rodmell Manor was owned by the Bergavennys, hence the name Abergavenny Arms Pub. For more information about the Pub look here. In the 1600’s Monk’s House was built as a row of a small cottages. In 1810, a milling family (The Glazebrooks) moved into Monk’s House and the three or four other small cottages on the property were used for agricultural laborers. 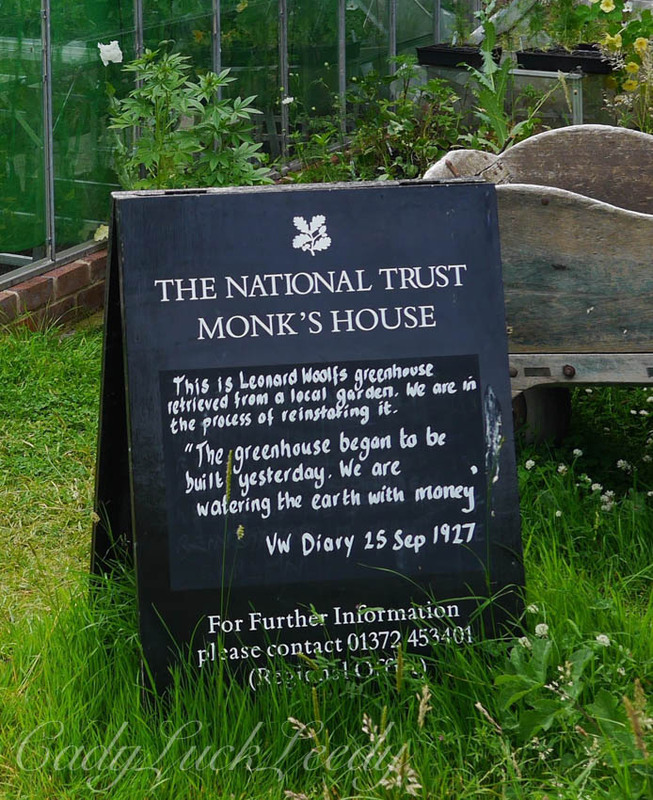 The Glazebrooks lived at Monk’s House for the next sixty years. The Mill was on the hillside just on the other side of the pub, and was sold in 1876. There was also a blacksmith at this junction. So we’ll whet our whistle at the pub since we’ve had another fine day in the UK! 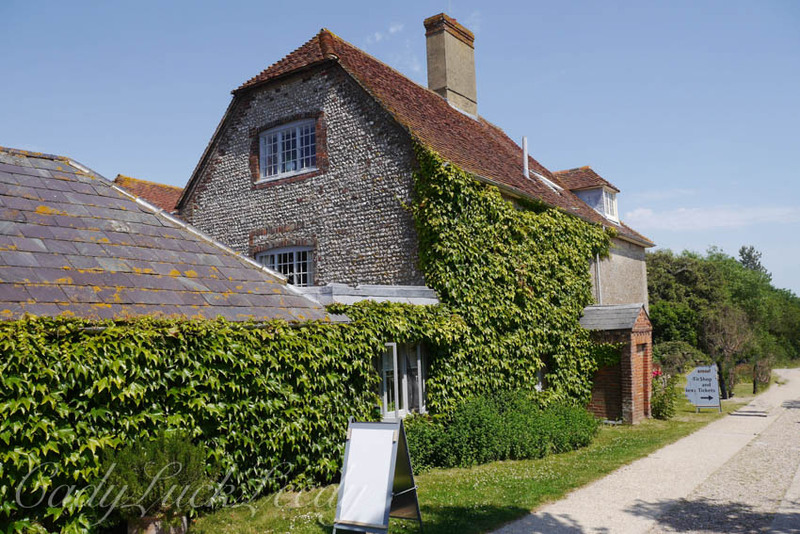 We’ll start afresh with the Charleston House, home of Vanessa Bell (Virginia Woolf’s sister), and learn about the Bloomsbury Group! See you then!